Couldn't find the perfect Christmas presents yet? No worries, I got you covered with a list of amazing stores in and around Zurich. In those shops it's hard NOT to find something suitable..
Definitely one of my favourite stores in Zurich. Soeder manufactures natural soaps and other toiletry. I got two of their hand soaps at home (in different flavours). If a soap is maybe not what you're looking for, how about handmade jewellery? Check it out..
That store is definitely worth the tram & bus ride. Up in Witikon-Zurich - where you can oversee the city you gotta find an amazing concept store. Which I think should be renown for it's unique, careful and conscious selection. Not only brands like Bloomingville, house doctor and Ferm you will find in the shop, the owner loves to invest into smaller labels too..
From jewellery to organic hand soap, over to cute child wear, wooden toys, cook & lifestyle books to home decor.. a very broad range of selected treasures. One year ago, when we just got back from Tokyo I stumbled upon Norkind. Their shopwindow draw my attention closer. It was filled with wonderful Christmas decor, very simple though. And as I did fall in love again with simplicity and beautiful interior design in Tokyo, that shop amazed me completely. It was the clean and neat presence of the whole shop, the arrangement of goods, and the welcoming being of the owners. Ever since I just love to check out their news and already the newsletter which I get occasionally makes my heart beat a little faster. Quality combined with friendliness - a hard find in Zurich, but there you go..
A very cute store in our neighbourhood, which always reminds me of Astrid Lindgren. Especially during winter time. When the shop is lovingly decorated with glittery ornaments and sparkling lights. Wonderful. 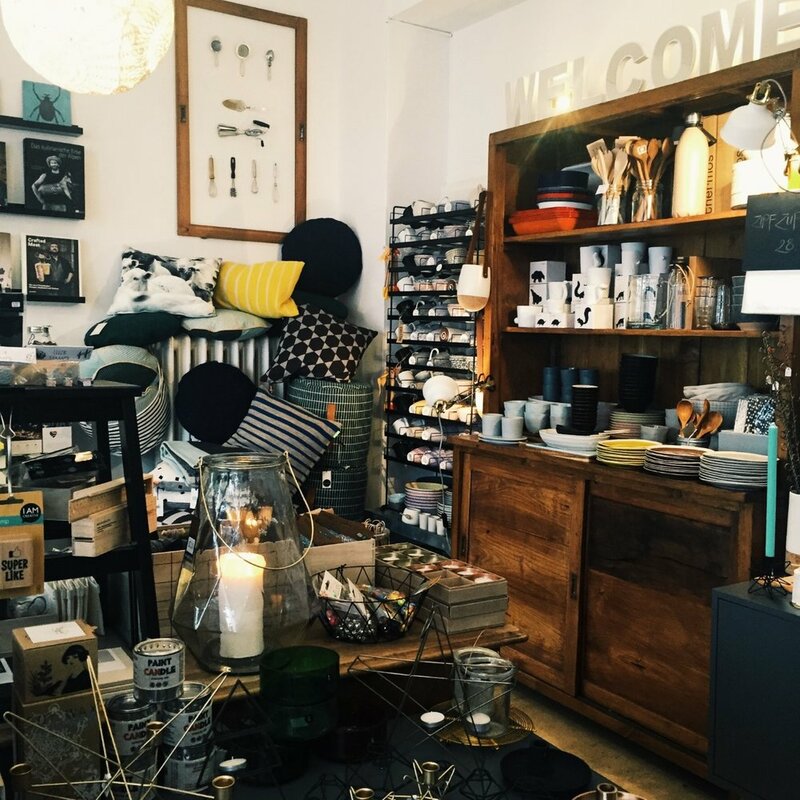 The shop offers a wide range of kitchen ware (mostly Scandinavian design), books, honey, baked goods (home made by the owner) and house decor. + John Baker Christmas cookies, with the purchase of each box JB donates CHF 1.- to "Schweizerische Alzheimervereinigung" I got to try all of their cookies and believe me - they're as real as the stories behind. very delicious! #madeofmemories - "Aktion gegen das Vergessen"
I packed some amazing goodies for you!